If you are planning your trip, the next question after booking your plane ticket is “Where Should I Stay in (insert country)”. Looking for an accommodation is not easy especially if it will be your first time in visiting the country. Take your time in researching, reading reviews and don’t forget to consider your budget. Ask yourself if you like to stay in Airbnb, hostels or hotels. Last month, we went to Bangkok, Thailand and I only had more than a week to look for accommodation. But thanks to my husband because he already tried several hotels in Bangkok so choosing a hotel is no longer a problem. 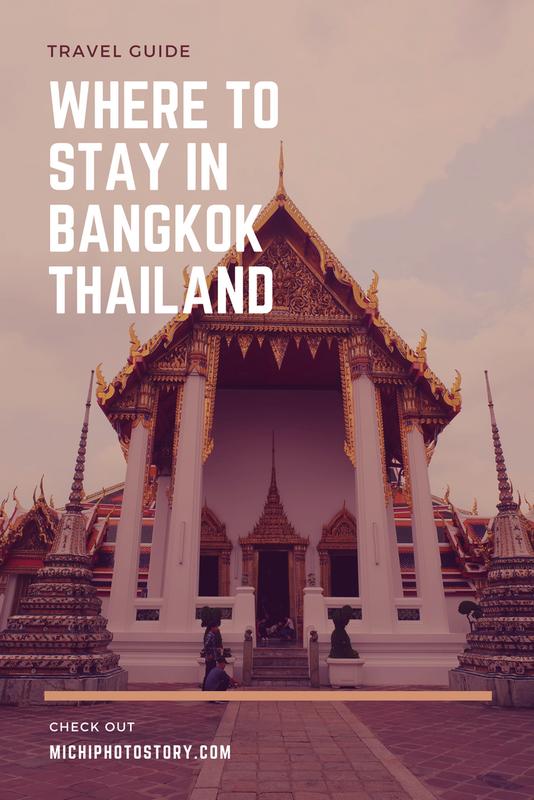 Just in case you are planning for Bangkok, Thailand trip and you are looking for a family-friendly hotel, check the following hotels in Sukhumvit Area. 1. Tourist spots are quite far. Sheraton Grande Sukhumvit Hotel is the first hotel that my husband tried in Bangkok, Thailand. The hotel is near Terminal 21 Shopping Mall and Asok BTS Skytrain. They have a connecting bridge so going to the mall and Skytrain is not a problem. Sheraton Grande Sukhumvit Hotel has 6 award-winning restaurants so have peace of mind that you will eat good foods. But just in case the budget is limited, you can just go to the mall and check the different restaurants there. This hotel offers a full-service spa, outdoor pool, fitness center, business center, airport shuttle and childcare. You have fruits every day in your room. Service is good. Westin Grande Sukhumvit Hotel is the second hotel that my husband tried in Bangkok, Thailand. It is also located in Sukhumvit area so it is near Terminal 21 shopping mall, BTS Asok Skytrain, and MRT Subway. It is just in front of the Sheraton Grande Sukhumvit Hotel. The room is big, the smallest room is 40-45 sq.m. You can choose 1 King sizes bed or 2 Double bed so it is good for the family. It offers a fitness studio, in-room spa services, nail and beauty salon, child care services, and a rooftop pool. My husband likes the swimming pool here because he can do some laps. If you are not fond of DIY travel, you can book your tours with them too. Service is good and if you are regular hotel guests, they offer late check-out for free. Four Points by Sheraton Bangkok is the third hotel that my husband tried in Sukhumvit Area. Among the three hotels, this is the most affordable one. It is just five minutes walk to Terminal 21 shopping Mall, BTS Asok Skytrain, and MRT subway. It is also near Robinson and 24 hours supermarket. Don’t forget to use the back door. It has a fitness center, business center, outdoor swimming pool and complimentary Tuk-Tuk. So if you want to ride tuk-tuk, you can take advantage of the free shuttle tuk-tuk. Though we haven’t tried this because like what I’ve said, shopping mall and train station are just a few minutes walk. This is where we stayed in Bangkok during our 6 days trip and we enjoyed our stay here. Service is good and they gave a lot of freebies. I will share more about this in a separate post, but you can check my review when my husband stayed here during his business trip. If the budget is limited, book a room at Modena by Fraser Bangkok. It offers a fully furnished room and studio room. It is near Queen Sirikit MRT Station so commuting won't be a problem. It has gym, restaurant, and lobby bar. The bathroom has no bathtub and they don't have a swimming pool. They offer a complimentary tuk-tuk shuttle which will take you to a nearby office building, MRT station, and commercial areas. Louis’ Tavern Transit Hotel is located in Suvarnabhumi Airport Hotel. Yes, you’ve read it right. This hotel is inside the Suvarnabhumi Airport so if you have a long layover or early flight and you are looking for an accommodation, you can stay here. When my husband had a 9 hours layover in Bangkok, he decided to stay at Louis’ Tavern Transit Hotel so he can have comfortable sleep while waiting for his morning flight. He can book a hotel outside the airport but he doesn’t want to pay the travel tax so he chose the transit hotel. No need to pass the immigration. The rate is not similar to a hotel because the rate starts at 6 hours of use including a set meal. But at least, you can rest well. Care to share your favorite hotels in Bangkok, Thailand.